More than a great Golf course... A complete experience! Book your tee time now and SAVE more than 35% OFF at Paradise Village's famed El Tigre Golf Course! 5 Night luxury suite accommodations. Unlimited Rouds of Golf :: include 18 holes, practice balls, bottled water and cold towels. Basic Internet access in every suite. 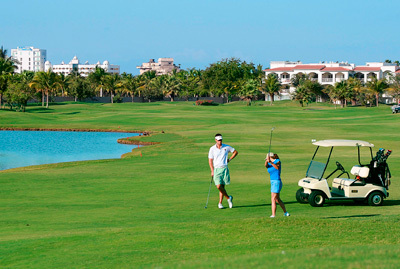 Shuttle service between the Hotel and El Tigre Golf Course, every 30 min. Add extra nights to your package at special rates! 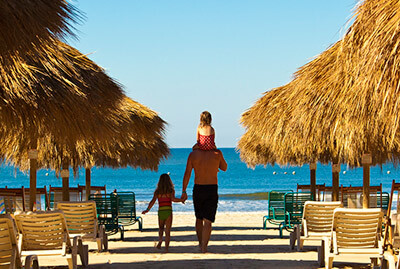 Make the most of your stay at Paradise Village Beach Resort Nuevo Vallarta with our All Inclusive Upgrade. Daily breakfast, lunch and dinner. *Click here for more details. Unlimited food and beverages. *Click here for more details. Up to 2 children ages 5 and under stay free. All Theme Nights included: Mexican Fiesta, Western Cowboy Night, Shrimp Fest, Tropical Dance Night, Fish Fest, Italian Night and BBQ Night. All current hotel taxes and gratuities included. Spacious luxury suite with fully equipped kitchen. Shuffleboard, Bocce Board and Ping-Pong available. 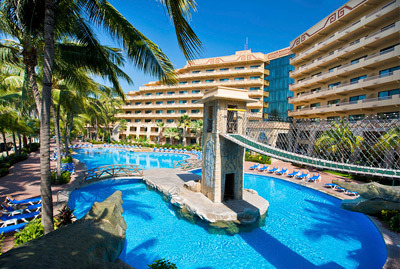 Daily entertainment activities including, beach and pool volleyball, water aerobics, tennis, hosted by the resort staff. Spacious luxury suites with a fully equipped kitchen. 2 hours free rental of racquets or bicycles, with a charge of $5 usd per hour thereafter. 10% off on kids club and babysitting service. Sushi bar included from 11:00 am - 6:00pm. Luigi´s Pizza included from: 11:00am - 10:00pm (not allowed to carry out to the room). Save time and money! It's simple - Check availability and enjoy a holiday in the best beach hotel in Puerto Vallarta and Riviera Nayarit. At the lowest price guarantee! Includes: luxury suite accommodations. For 2 adults. Basic WiFi Internet access in every suite. Daily entertainment activities including, water aerobics, tennis, shuffleboards, bocce board, boogie boards, beach and pool volleyball hosted by the resort staff. Only available in European Plan, meals not included. Upgrade your stay with enhancement options available to this package at the time of booking. 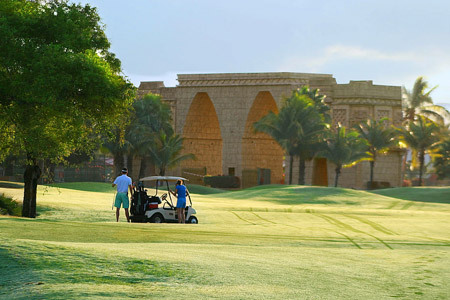 Book your tee time now and save big at Paradise Village's famed El Tigre golf course!. 3 Night luxury suite accommodations in european plan. Do you already have plans for your next vacation? Discover your paradise at the best price! 4 Night luxury suite accommodations in european plan. 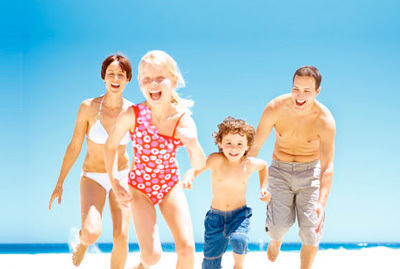 Book your perfect getaway & Discover fun under the sun for every one in Your Family! Best value for your money! Simply the best deal. 7 Night luxury suite accommodations in european plan. Save time and money! It's simple - when you book your flight and hotel at once as a package directly with us, you get our lowest rates and travel prices. Saving you even more than if you were to book them separately. This package is designed to give you the opportunity to live the experience and become part of our exclusive Vacation Ownership Club. Let us pamper you, and show you how to take advantage with our incomparable benefits of being a member and enjoy an extraordinary family vacation for a life time. One round of golf (cart fee not included) or 1 Spa Treatment. Daily entertainment activities hosted by the resort staff. Rates subject to availability and pre-qualification. Not valid with any other discounts or offers. Unused service cannot be refunded.